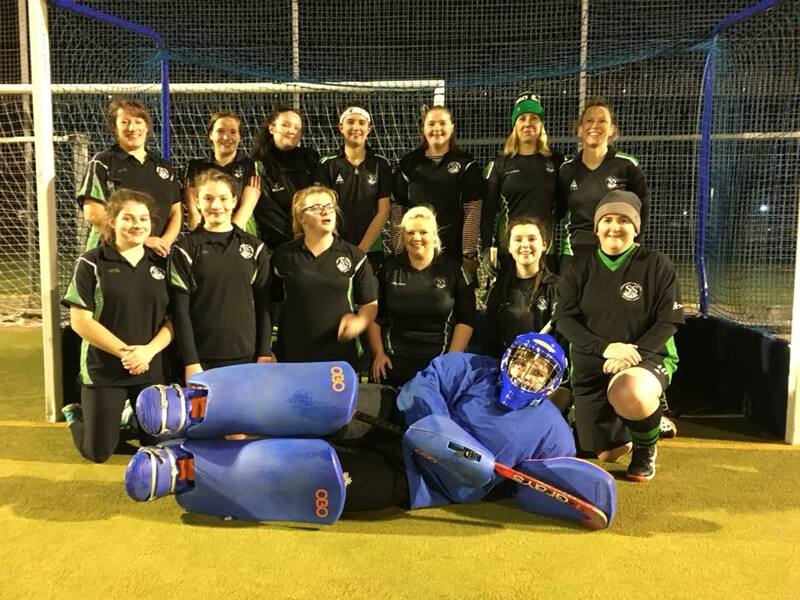 After last weeks 8-1 deconstruction, it was fair to say the ladies 4s were pretty nervous about yesterday's match against top of the division Berkhamsted & Hemel. Our position wasn't helped by half term absences, and only through the determined efforts of Captain Baker did we manage to get a full 11 (plus subs!) out, including three untried players, and one who had only played once before for us! Cook tried out a new role in centre defence - dominating the pitch, and setting up our forwards to try and drive forwards. The only thing we needed this match was another Cook further up the pitch to just crack the defence. Actually - we had a Cook-Abbott who was a pretty close thing, playing another strong match, this time with a much more mature and open game roaming around the forward line and taking on the defence. Midway through the first half, Berko got a chance with a short corner, and after we lost a defender to the half way line for an over enthusiastic break, Berko took full advantage to strike into the corner. One down was not too bad though, and we battled out the rest of the half, with some key saves from keeper Harper, and classic defending from new player Mioch (another old school back for our collection) to keep us on track. The second half got off to a faster start, with a few more physical challenges and loud stick tackles around the pitch until we settled again. Gradually we built up some more promising passing moves, with Lauren, Ralphs and Cook-Abbott working together to build on clearances from Croft and Cook, and starting to bring Kelly and Baker into the play. Paula gradually got stuck in aided/set up by Lands at the back, and started to show some lovely hockey touches. Berko kept the pressure on, and a rising short corner strike was neatly deflected by Mioch, showing her tennis skills, to sail wide of the goal. Midway through the second half Berko's pressure finally paid off for them, with a deft conversion of a strong cross managing to beat the defence and hit the backboard. We were still in it though, and for the last quarter of the match managed to gain some ground, almost troubling the keeper on a few occasions. In the final minutes, another quick break caught the defence out, with a speculative shot on the boundary of the D nicking off a defensive stick and into the far corner. On reflection - a much stronger performance than last week, and great to see our new players contributing so much. Emphasis was definitely on the defence this week, but returning to this season's formation worked well. With more confidence and experience by next time we play them, we should be able to get a more positive result. Final score 3-0, MOM Cook - outstanding in defence (but missed in attack), and overall sportsmanship. Great to see Harper back again, turning into a confident keeper and really keeping us in the match with a number of much needed saves!